For the second 3rd class of Intro to Fabrications, we were introduced to the laser cutter. 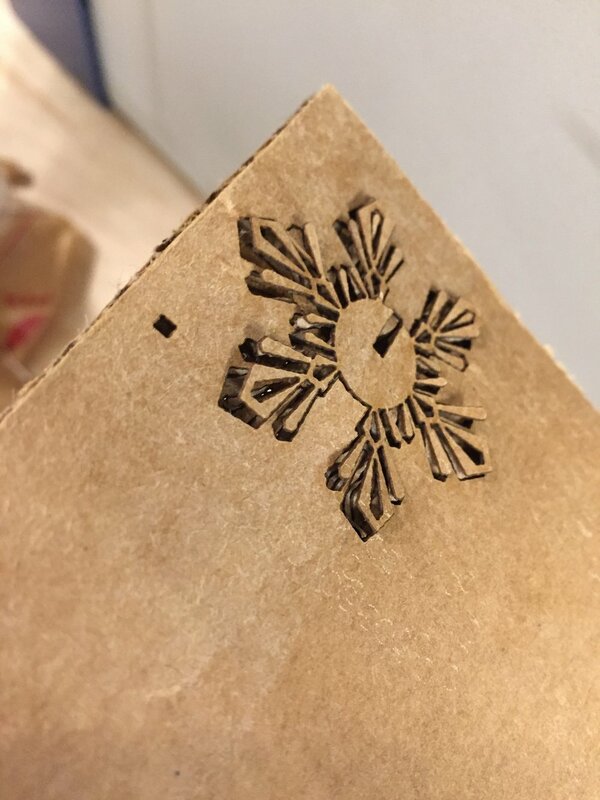 We were tasked to try out different materials and spend some time getting familiar with the cutting and etching abilities of the laser cutter. With the upcoming holidays, I was interested in attempting to make some ornaments for my family. I'm also interested in working with more raw materials rather than just plastic acrylic. I worked on all laser printers 50W, 60W and 75W so I now feel comfortable on all machines. I decided to use acrylic of two different styles, plain white and marbled white, to create a snowflake ornament that had an etched leather hanging strap. Because the leather wasn't treated and was all black, it was hard to see the etching on the hanging tie, so I may not do that the next time. I did enjoy working with leather in this instance and will try to think of another applications where the usage of the laser cutter is more obvious.